That said, I am now utterly and spectacularly confused! Until 8 months ago, all I listened to ever was LP records. I had an SACD player, but used it only when I was too exhausted to cue a record. I started experimenting with digital because I had started reading that they are actually listenable. I tried a bunch, before finding Roon. Needless to say, I love the interface, and obviously the next issue is SQ. I set it up the easiest way I could think of. However, this thread got me doing more research, and everything I thought I knew has turned topsy turvy! So, now the request for advise restarted. Given that I have a great integrated amp, and some nice speakers, what are my best options for: a) a DAC (I am happy to get rid of mine (a Schitt Bifrost Multibit) and start afresh if needed); b) whatever connects to a DAC? Thank you all for your patience and advise! So, your musical happiness ended 8 months ago… A good turn-table and SACD-player is all that you need to enjoy good sounding music both digital or analog. Welcome to the club, Ravi! The confused club, that is. I’m just streaming Roon digital out of my Mac via optical to an input on my receiver, which has a built-in DAC, which is what I’m using. Sounds pretty good to me. For an external DAC, I’m thinking perhaps the Mytek Brooklyn DAC+, or the Arcam irDAC-II, which also adds Bluetooth input. The Bifrost Multibit is well regarded, and it does have a USB input, so the first step is to try direct connect from the Mac, obviously. If you like how it sounds, don’t agonize over hypothetical issues. But if not, or if this doesn’t fit in your room, you need a network adapter. And a MicroRendu seems a little pricey as an adapter for the Bifrost. If you are ok with less glitzy gadgets with more of a DIY air, somebody can give you advice on something from the Ropiee and Allo world, they can do what a MicroRendu does for much less. I know nothing of that world myself. Or you can get a ChromeCast Audio for $35 and plug it into the optical jack of the Bifrost, many reviewers have spoken highly of that. I use it myself, works well with a modern DAC, less well with a vintage DAC, perhaps because of jitter. It’s wifi, but Darko described a wired networking adapter for it. Any of these will be excellent and in combination with the Bifrost Multibit you have fabulous price-performance. Or you can replace the Bifrost with a DAC with network input — the Roon Ready device section can give suggestions. Many thanks for this. Very useful indeed. To be honest, the Bifrost Multibit sounded great, and subjectively appeared to hold even when compared to my TT. But then, I went and flouted my own Rule No.1, which is to trust one ears, and worse, flouted Rule No. 2, which is to be satisfied and satiated. Tragically, I also flouted Rule No. 3., which is never to dive into the wormhole called Google. Suddenly, the Bifrost doesn’t even sound remotely great! Somehow, the software in my brain has, via a simple Goodle search, re-programmed my aural channels! Evidently, my years are not quite analog as I thought! Or, God forbid, I might even be an Android. Who knows, in this state, I might well pass the Turing test! And then, I came upon @Bill_Janssen’s post. It is simple in its utter genius. I tried it, and it was great – although I am not sure the audio out in MacBook Airs are Toslink – I connected to RCAs with an adapter I had lying around. The verdict. Not sure it was worse or better than the Bifrost. Is there anything out there about this kind of connection, objectively speaking? At this point, my Spock brain just wants to hear science. No emotions, folks. That said, how I long for those verdant days, barely eight months, which @ luleanu alluded to, when I just enjoyed the music!!! PS. The post above responds to all the wonderful responses I have received today, including the latest one by Anders, which is what I thought I was responding to! You should not believe everything you read on the Internet, especially about measurements. You don’t know their skill, their biases, or anything reliable about their background and intent. If you want to go all Spock, you better spend a lot of time learning enough of the technical stuff to judge reliably who you should trust – assuming you do not want to do the measurements yourself, which given the very small signals we are dealing with at the edge of the audible for any modern equipment, are a difficult skill to master unless one is doing it all the time, professionally. If you want to go that way, this is the wrong thread for you, really. I’ve owned a Bifrost Multibit, as well as quite a few other DACs. It was not the best I’ve owned, but it’s a very good product for the price, which I listened to with pleasure for many hours before I moved to something way more expensive. I listen to a lot of live acoustic music – just came back from a wonderful evening of violin-piano duos in a room with excellent sound – and that’s the yardstick for my gear. By that standard, the Bifrost Multibit does pretty well, whatever random measurements in the Internet may claim. 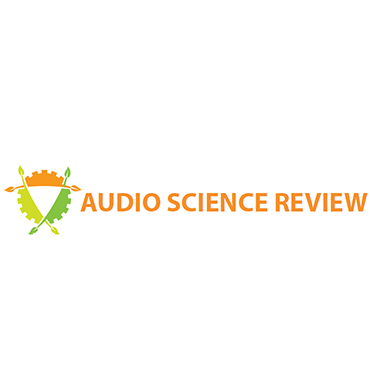 AudioScienceReview is not very trustworthy. If you look around Head-Fi and other forums, there are a lot of people arguing over his methodology, showing their own conflicting measurements, etc. His results can serve as one data point, but by no means as the only one. And I consider measurements absolutely key – but they have to be done right. I bought a Topping D50 because he praised it so highly, but didn’t like it at all. At the end of the day, measurements are helpful (when done right), but the thing about trusting your ears is definitely true. And @ Fernando_Pereira. A very apropos note. BTW. I went for a long walk, and after that, did an A/B between the Bifrost and TOSLINK, and the difference is night and day, in favor of the former. Fascinating how one’s headspace, fatigue levels, etc., make a difference. I am keeping my Bifrost, rigged just as it is, and am just going to enjoy the music. Excellent! It’s so easy to get sucked into endless tinkering and buying tons of stuff you don’t actually need. I’ve also experienced this where some evenings, my system sounds kinda crappy, some evenings it’s absolutely sublime – but nothing has changed aside from my mood, how tired I am, etc. The opposite is true too: I got new speakers recently and initially liked them, and then was like WTF? a few days later. It took a week or so for my brain to adapt (I mean, the speakers to break in, of course). But now I love them! Thank you sir for your sensible advise. Thanks all. Raji, how did you go about choosing your turntable? Or your phono stage? This really isn’t so different. The difference with digital is you don’t need to get it absolutely right first time. My DAC has several inputs, so once I have decided what DAC I want, I can experiment with inputs. Hi Henry, I have had several TTs over the years, but got the Linn two years ago after hearing it at a local demo. The dealer was kind enough to loan me one – and I really liked it a lot in my home set up. I then optimized it. As for the phono, I just listened to one – the Simm Moon, and have been very happy. I did not even bother to listen to another. I guess with computer sourced music, I just don’t understand the variables, and thus far have not found anyone who could give me an extended opportunity to audition, as the old fashioned TT dealers do. I ordered the Bifrost based on reviews. Sometimes I have felt that it is as good as analog sound. It is certainly OK. But again, that little devil on the right shoulder keeps looking around. Just hit him in the face with a vinyl disc! And such is my current sordid life! I just realized during a long walk this evening that I am probably asking the wrong questions. I am definitely enjoying the quality of the music coming out of my current arrangement. So, as many of you suggested, why bother messing with this? At some point I might indeed get a DigiOne player to eliminate the USB out of the MacBook, but there is no pressing urgency. However, what is more immediate is that I have not grasped the import of the settings within the Roon Core. There are a number of options in the settings in the Roon program on the Mac. Is there a key to understanding how best to use them, written in simple English for someone who know virtually nothing about computer based music? Have you gone to the Roon Knowledge Base? Here is a link to the Basics page. Yes I have. Alas, I am unable to locate this precise info. Then maybe you need to state what it is thats missing from the knowledge base as the page I linked to describes the settings in plain English. If you say what it is you need then it can be added. Sorry – I do apologize. While I have looked at the Knowledge Base, I am not sure I have read the page you sent me a link to carefully. Look forward to doing so. I’ll come back if I have any questions.